Lowers the cost of installing, maintaining, and troubleshooting business and residential services and networks. 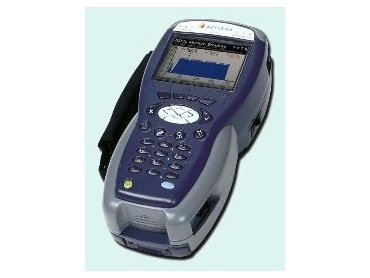 ACTERNA has released the HST-3000, a handheld instrument for troubleshooting VoIP deployment, supporting physical layer analysis through packet metrics, signalling analysis and voice quality determination. It is capable of packet capture of live VoIP calls, including VoIP call storage and an integrated FTP capability to send captured VoIP calls to be analysed by Acterna's PVA-1000 software. It improves efficiency and lowers the cost of installing, maintaining, and troubleshooting business and residential services and networks. It combines copper, voice and data service testing features with process automation capabilities in a lightweight, battery-operated unit. It adds the ADSL2+ and IP video test options, offering test support for triple play service deployments. The Acterna HST-3000 IP Video test suite provides set top box emulation, including signalling for both broadcast video and video on demand. It also offers detailed analysis of the video transport stream including PID discovery, packet loss, and jitter. It enables PCR jitter analysis. The test access includes both an Ethernet interface and an ADSL interface. The test suite supports the planned deployments of packet-based video service networks targeted at FTTx and video-over-DSL networks. ADSL2+ will begin wide-scale development in 2005, allowing the deployment of new voice, data and video over copper access networks. The ADSL2+ option for the Acterna HST-3000 provides ATU-R emulation supporting ADSL1, ADSL2, and ADSL2+ in one module. It supports reach extended mode and all digital mode and enhances the full suite of HST data features over the new copper loop technology.